I am delighted to say that Stonestead Devonshire Tea, now known as Home Harvest Cafe delivers everything I loved about Stonestead and more. The front of the barn has been freshened up, and the cafe’s beautiful french doors let natural light flood the space. Upon entering, my eyes were instantly drawn to the small but full cabinet laden with scones, cakes and slices. In particular, an amazing pink and white hundreds and thousands layer cake took pride of place on a cake pedestal at the top of the cabinet. The space itself has been transformed – modernised, but not so much that it lacks character. The mismatched furniture, floral upholstery, fine china, festoon lights and buckets of peonies and greenery maintain a rustic appeal. I was pleased that Devonshire Tea is served in the same crockery as before – with your own pot of loose leaf T Leaf tea, a tiny milk jug, dish of jam and cream and a warm scone. I do miss the scones being baked to order – I didn’t mind waiting 15 minutes to be served a scone fresh out of the oven. It was lovely to meet the family behind Home Harvest Cafe. The transformation has been a labour of love and I wish them every success. I will be back, with the High Tea Honeys in tow for afternoon tea soon. 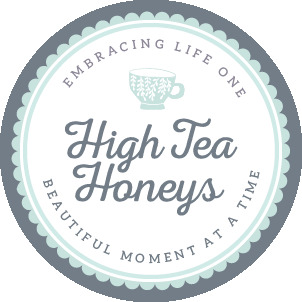 Interested in joining the High Tea Honeys? Become a Honey. Home Harvest Cafe is on Facebook.